Sporting action footages on land and on the surface of a waterbody are covered by imaging drones, but what about underwater? 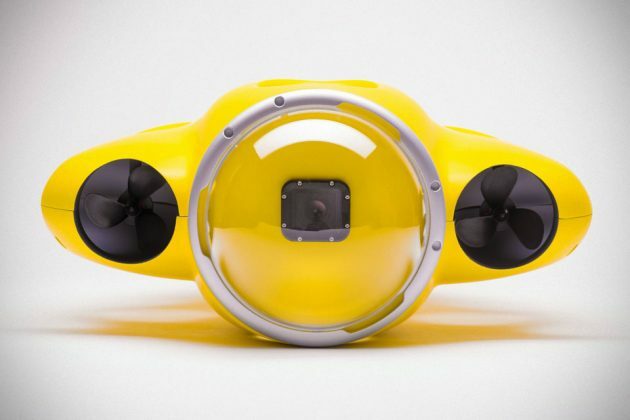 Well, it is covered too, by this little guy called iBubble Autonomous Underwater Camera – the underwater equivalent of a personal aerial imaging drone. iBubble is propelled by no less than eight brushless motors, each rated at 1,300 kV, allowing it full freedom of movement underwater and at a briskly speed of one meter per second (3 ft/s). 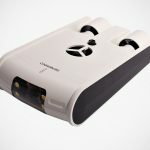 Obviously, it is not going to break any underwater speed record, and it does not need to as, similar to its air counterpart, it is designed follow you as you dive, capturing you and the breathtaking underwater scenery without you having to touch the camera. 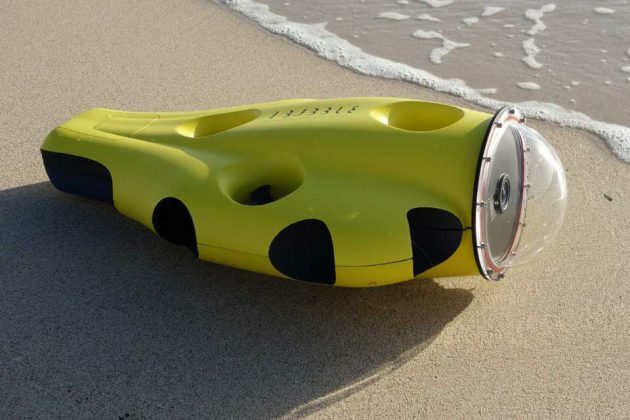 Though it can be manually handled too, if the situation arise, but generally speaking, it is an underwater drone that does not require any intervention. 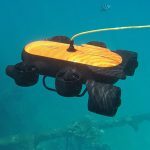 A wrist-worn device, which talks to the drone via Ultra Short Baseline (USBL), offers you control over this innovative underwater drone if required and an onboard, rechargeable and replaceable lithium-polymer pack affords up to one hours of operation. 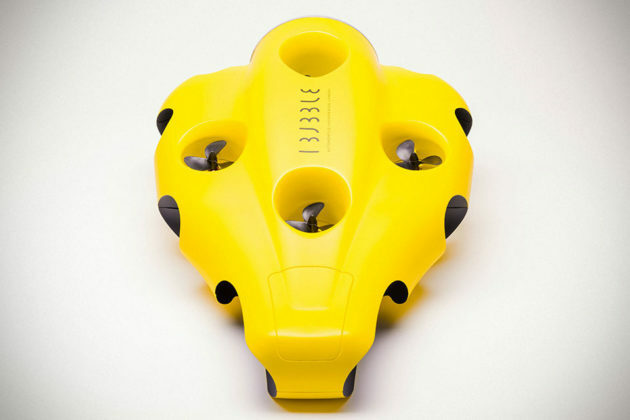 A patent-pending proprietary positioning system is the secret ingredient that enables the drone to maintain at a specific distance from the diver and also execute various the different modes like Follow Me and 360-degree selfie. It will also come with a pair of 1,000 lumen lights to light up darker end of the water. Last but not least, it will be loaded with sensors to enable the device to sense where it is and also avoid obstacles. A standard iBubble does not come with an imaging system, but there’s GoPro pack which comes with a HERO4 Black camera. 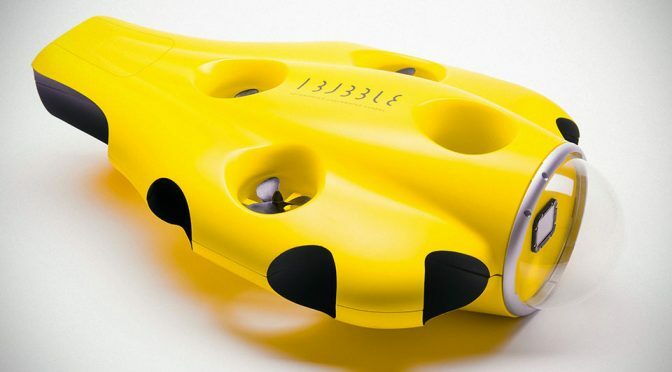 In addition, there’s an Explorer’s RC pack which comes with a 100m (330 feet) cable, enabling it to be used as a RC drone with live video transmission to scout out the water beneath before you take the dive. 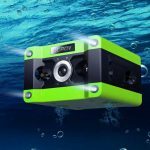 iBubble Autonomous Underwater Camera is on Indiegogo InDemand where you can pre-order a unit for $1,899 and up. 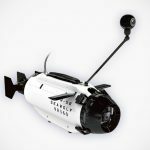 A word of warning though; before you get overly excited and dive into it, this underwater autonomous camera won’t be delivered until September 2017.